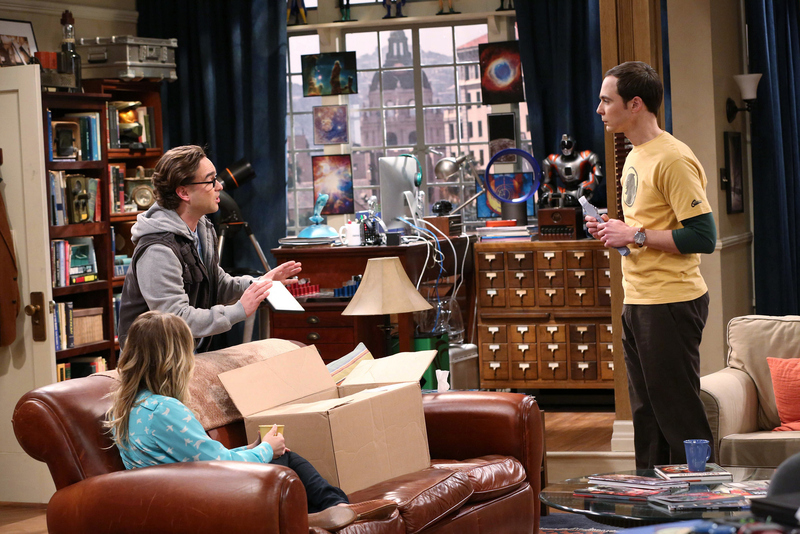 Leonard tries to keep Sheldon from overreacting when a past mistake comes to light, but Sheldon punishes Leonard by making him walk a mile in his shoes. Meanwhile, Penny confronts Raj’s ex-girlfriend, Lucy, on THE BIG BANG THEORY, Thursday, Nov. 14 (8:00 – 8:31 PM, ET/PT) on the CBS Television Network. Pictured left to right: Kaley Cuoco, Johnny Galecki and Jim Parsons Photo: Michael Yarish/Warner Bros. Entertainment Inc. © 2013 WBEI. All rights reserved.